Ready for viewing. A gorgeous pure shaded red sausage dog(Dachshund). Great little dog we refer to as "Trucker" as she has been so lively from day one. 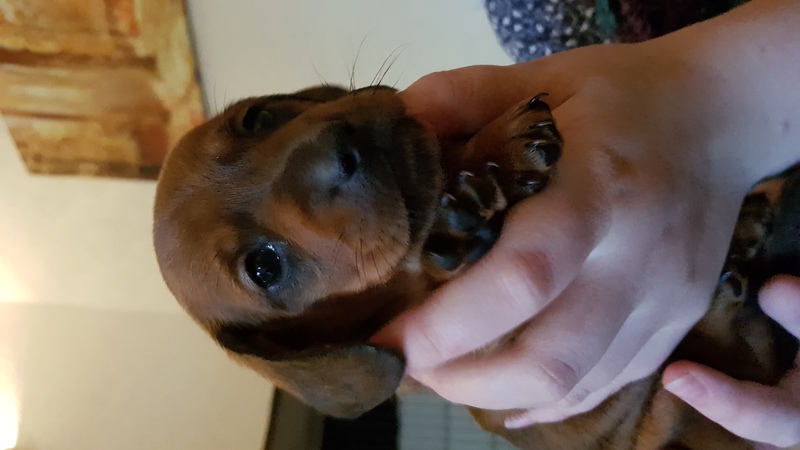 We will be giving her all the required injections, health checks, worm and flea treatments and will also get her micro-chipped with your name and address. The male dog that mated with our Luna is a famous kc registered dachshund. So come see and the puppies and mother to find out more. 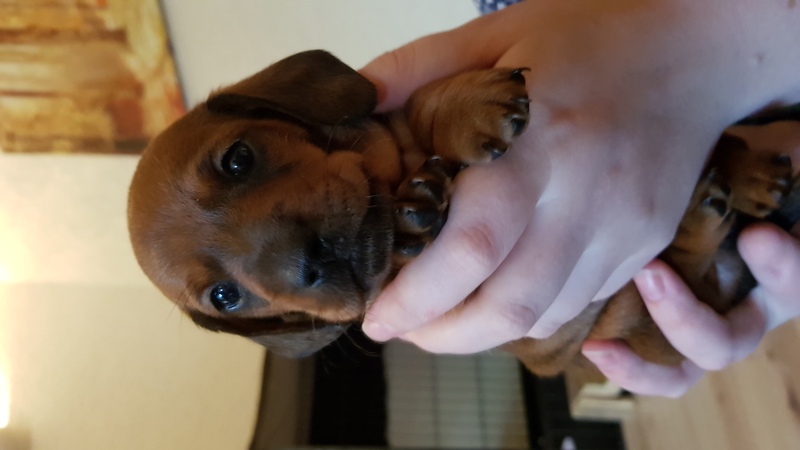 Simply choose your puppy, pay a deposit of £150 and we will hold your dog. The deposit will come off the price you pay when collecting your dog. The puppies will be ready on the 19th of October, this being 8 weeks from the birth date. 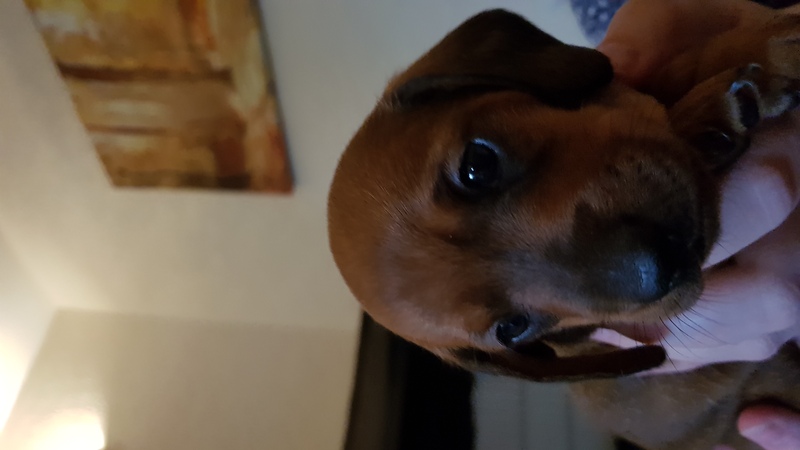 The the puppy was bred and loved in a family home in Alsager, we are British/Scottish so your dog might have a slight accent and be partial to haggis.